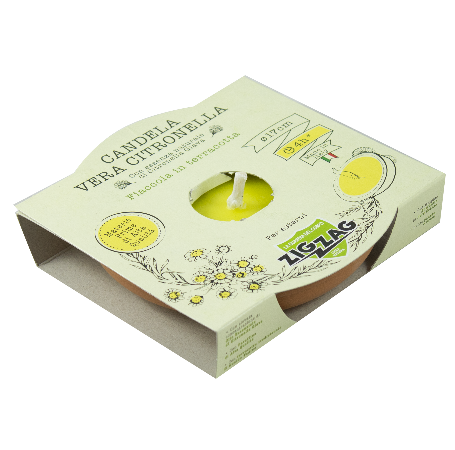 Candle for outdoors with essential oil of Java Citronella, high-quality paraffin, natural fibre windproof wick without lead or nylon. Traditional terracotta pot from Gualdo Tadino.It does not emit black smoke. Duration 4 hours.